Earth-chan is the internet’s latest waifu and meme queen. A simple joke from Trinimmortal alluding to Flat Earth believers and anime tropes has escalated into fans drawing Earth as an anime girl who has to constantly defend that she is not flat. The Internet has been overtaken with each artist adding their own style to Earth-chan. 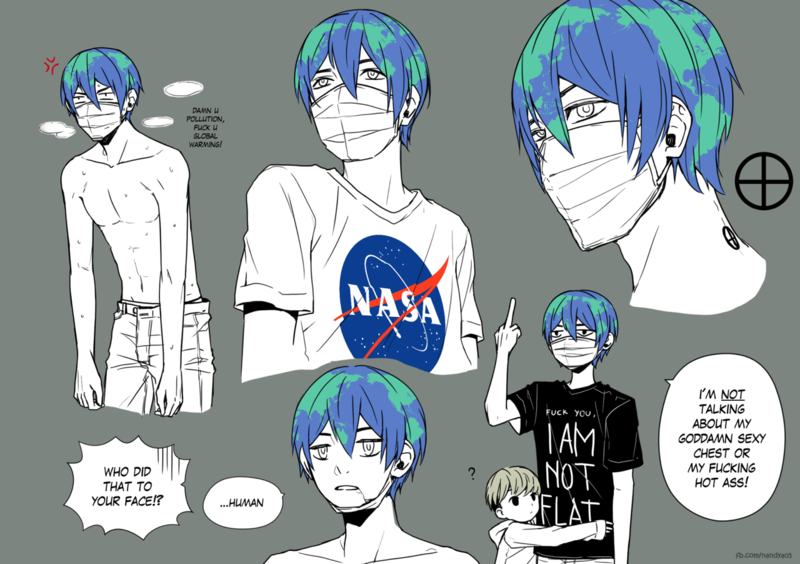 And now the Internet has given Earth-chan a new friend: Moon-chan. Moon-chan is also seen as a little sibling, admiring and staying close to Earth-chan. And who doesn’t approve of Moon-chan being depicted as a ball of fluff? What are your favorite drawings of Moon-chan?